Team USA45 Racing is one of two American teams that was selected by ORACLE TEAM USA to represent the U.S. in the Red Bull Youth America’s Cup, a yachting race for young sailors taking place in San Francisco from Sept. 1 through 4, 2013 in San Francisco. Racing will take place in the same high performance, wing-sailed AC45 catamarans that are used in the America’s Cup World Series. Nine teams from seven countries will be represented, including the two teams from the U.S. and teams from Australia, New Zealand, France, Portugal, Sweden and Switzerland. Team USA45 Racing will arrive in Tiburon on June 1 and will be welcomed into the homes of Tiburon residents for the duration of their stay. The team’s practice boat, an Extreme 40, will be moored at the Corinthian Yacht Club, to enable the team to practice five days a week in preparation for the final races in September. Facilities at both the Corinthian Yacht Club and the San Francisco Yacht Club have been offered to help the team train for the race. Team USA45 Racing is comprised of nine youth sailors from around the nation: Jake La Dow, Peter Kinney, Matthew Whitehead, Charlie Buckingham, Jake Reynolds, Nevin Snow, Graham Landy, John Wallace and Sam Hallowell. Various fundraising and community events will be held in Tiburon over the next three months to help cover the team’s cost while offering an opportunity for the community and sailing enthusiasts to meet and show their support for the young sailors. 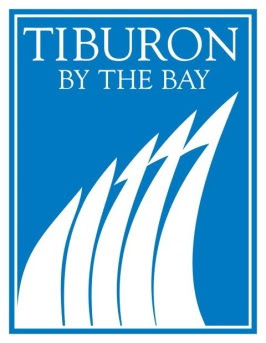 All events will be listed on the Town’s Web site at www.townoftiburon.org. For more information on USA45 Racing, its sailors or to make a donation to support the team’s quest, visit www.usa45racing.com.